Warner Brothers. It’s a brand name that is synonymous with the motion picture industry; and its mere mention evokes images of swash-buckling heroes, beautiful leading ladies and glamour beyond most people’s wildest dreams. And while most of us have grown up watching films and cartoons churned out by the illustrious dream factory, few of us really know much about the men behind the famous moniker. 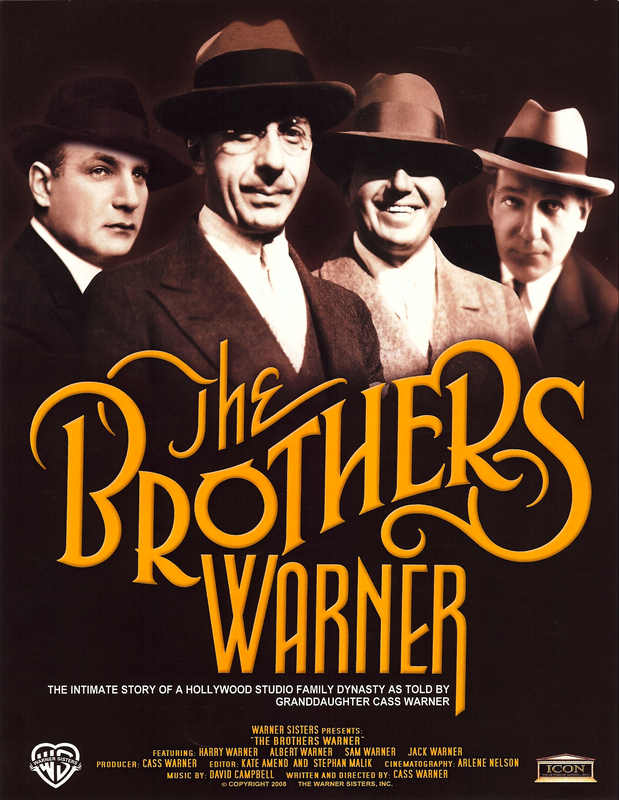 In her compelling documentary The Brothers Warner, filmmaker and granddaughter Cass Warner shines the spotlight on Hollywood’s first family; and, in doing so, she tells the little-known tale of not only how they changed the film business forever; but also, of how the film business forever changed them. It’s been billed as “a new film about Old Hollywood;” and when it comes to offering audiences an inside glimpse into the legendary early days of Tinsel Town, The Brothers Warner definitely delivers. The film boasts a score by multiple Grammy Award-winner David Campbell, and it’s masterfully crafted by film editor Kate Amend, A.C.E. Through stock footage from classic films, documentarian Cass Warner breathes new life into icons like Errol Flynn, James Cagney, Gary Cooper and Humphrey Bogart, to name a few. In addition to its nostalgic cinema moments, audiences will delight in insightful interviews with industry luminaries like actress/singer Debbie Reynolds, actor Efrem Zimbalist, Jr, producer Norman Lear, and the late, great Dennis Hopper. And while the images from Hollywood’s familiar faces are thoroughly enjoyable, the real stars of this film are Harry, Albert, Sam and Jack Warner. This is the story of four brothers who, despite lacking resources and education, shared a collective dream and worked together to make it a reality. And on a very personal note, it’s the story of a granddaughter, Cass Warner, who made a silent deathbed promise to her grandfather, eldest brother Harry Warner, that his tireless efforts in the industry were not in vain; and that his legacy of “good citizenship coupled with good picture-making” would live on. Like any great film, The Brothers Warner has all of the essential story elements: there’s a noble, socially responsible hero, an insatiable, formidable foe, and a bevy of beautiful by-standers caught in the middle of their epic power struggle. There are moments that are cause for rejoice – such as the introduction of sound to the film industry initiated by middle brother, Sam Warner. There are, in equal measure, instances of incredible pain – like Sam’s untimely death just days before the premiere of his greatest triumph, “The Jazz Singer.” And though she may have been tempted to gloss over certain unflattering facts, Cass Warner offers a balanced, impartial and honest portrayal of the infamous betrayal perpetrated by baby brother Jack that completely tore both the business and the family apart. Harry, Albert, Sam and Jack Warner were pioneers, risk takers, mavericks, and businessmen. Their story is, in essence, the portrait of a band of brothers – diligent, competitive, ambitious and imperfect. They were larger than life, and their story is too big for just one film. Thankfully, in addition to The Brothers Warner, film fans will be thrilled to learn that a fictionalized account about Hollywood’s first family is currently in the works, with Cass Warner co-producing, and screenwriter Nicholas Pileggi of Casino and Goodfellas fame attached as the scribe tasked with bringing the story to the silver screen. As a group, the Warner brothers embodied every complexity in the human spectrum. They were immigrants, yet thoroughly American. They were dreamers, yet acutely aware of the world’s harshest realities. 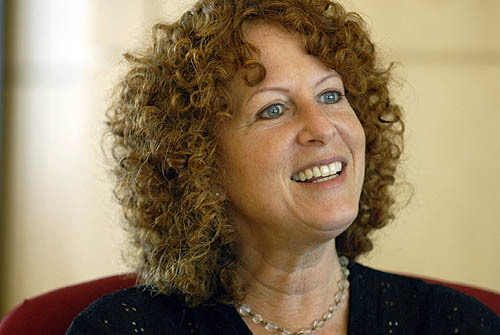 They made films – not simply for escapism’s sake – but also to “educate, entertain and enlighten.” They were the quintessential independent filmmakers who, as Cass Warner put it, “made films that they thought were relevant,” and they encouraged us all to do the same. 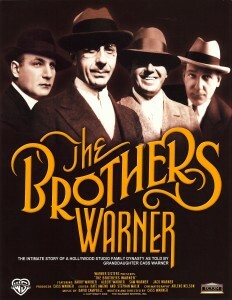 Their story, The Brothers Warner, is not just a must-see for filmmakers. It’s not just a must-see for film lovers. The Brothers Warner is a must-see for families.